Home Remodeler Boulder: Is It Time To Hire A Handyman? Is it Time to Hire a Handyman? How long is your home improvement to-do list at the moment? If you don’t have one, take a minute or two and jot down some tasks. If you feel like you’ll never make any progress because you just don’t have the required skills or time, then it may be time to hire a home remodeler or handyman. Matt of MC Home Services tends to group customers into five types of needs: general handyman work, repeat maintenance, larger scale remodels, carpentry and painting. If you fall into any of these categories, your first instinct may be to hire someone that specializes in a particular area of expertise, such as a plumber, roofer, or painter. Keep in mind, though, that it can be stressful and costly to hire multiple contractors on your own. With a handyman, you’re most likely dealing with one person from start to finish. With a reliable handyman, homeowners often save time and money on their home improvement projects. 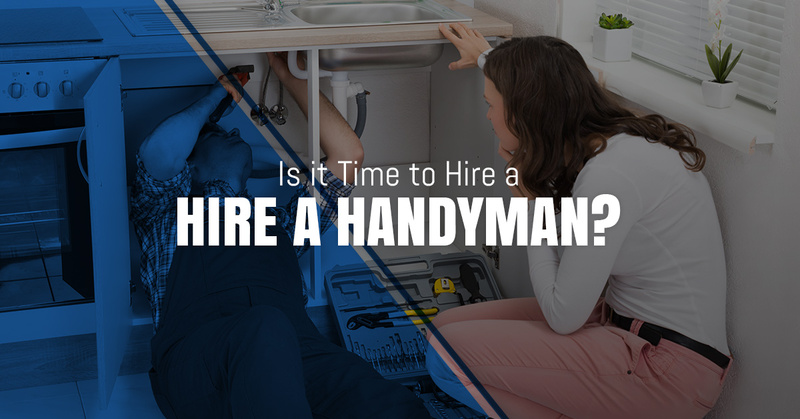 Unlike specialists who tend to price a job based on the estimated amount of time it will take to complete, a handyman is usually paid by actual hours worked or a previously agreed upon flat rate. Plus, a handyman has less overhead than a specialist, so there’s no need to go out and buy extra tools or equipment for your projects. A handyman can often be the cost-effective solution for your home projects, but you still want an experienced professional with a clean background. After all, this person will be in your home and potentially around your family for some time. Figure out the project – MC Home Services handles any non-load bearing remodeling issue or scope of work. Our home remodeler, Matt, is insured for finish electrical and finish plumbing, providing homeowners with even more flexibility. Should your project be more advanced, Matt can refer you to a licensed contractor. Shop around – Don’t just hire the first handyman you come across or hear about from your friends. Be sure to put experience, reliability, and customer testimonials at the top of the list. With Matt, you’re getting a handyman who has been helping folks in Northern Colorado for more than 15 years. Check out a number of his testimonials here. Avoid scammers – Every day, a homeowners falls victim to a shady handyman or contractor. We advise that you avoid handymen who contact you with unsolicited phone calls or visits to your home. Make sure your agreement is in writing and comes with a guarantee – Before you hire a handyman or home remodeler, be certain that the agreement is in writing. It should include job details, costs, and payment schedule. Inspect the work – Before paying your handyman, be sure to inspect the completed work. Matt sets himself apart from the rest in that he will not finish a job until he knows his client is satisfied. With more than 15 years of experience under his belt, Matt will take care of you when it comes to home improvement, drywall repair, garage conversions, bathroom/basement remodels, and so much more. He can handle your home painting project and even provide top-of-the-line home upgrades. Click here to learn more about the services we offer. Get started today with an experienced home remodeler in Boulder and give Matt a call.